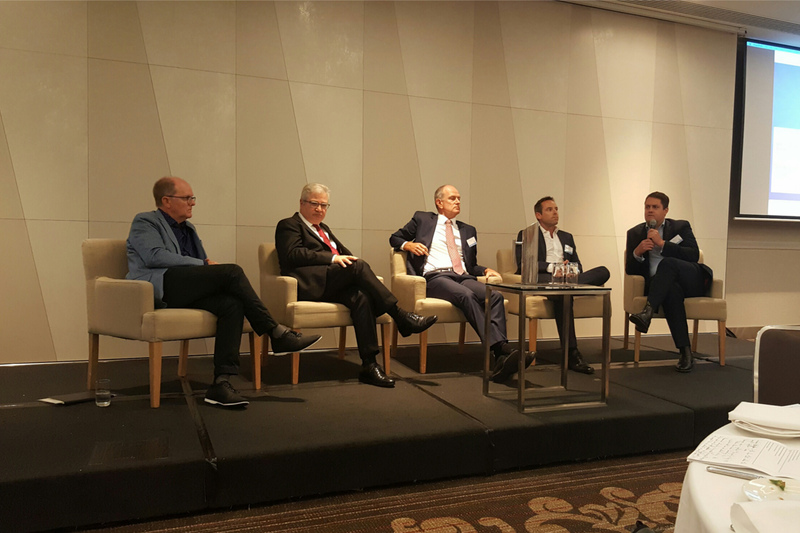 Ross Donaldson (left), Basil Georgiou, Neill Stevens, Jason Thomson and Angus Leitch at this morning's panel discussion. Photo: Steve Coghlan. There’s been a big rise in the exercise of contract termination for convenience clauses in the past four years, according to Jackson McDonald lead partner of projects, infrastructure and construction Basil Georgiou.